Feb 4 2019 - (The Daily Star) – Every year on February 2, nations have been celebrating the World Wetlands Day since 1997. But unfortunately, despite national and international efforts, wetlands are still treated as revenue-generating machines or wastelands in many countries including Bangladesh. Apparently, nobody would like to think of wetlands as a natural solution in adapting to the global climate change. Many people don’t even bother to think that these ecosystems play a significant role in mitigating the adverse impacts of climatic change. Hence, many wetlands have already been encroached, degraded or polluted. The theme of this year’s Wetlands Day is “Wetlands and Climate Change”—and it has been chosen to highlight the important role played by wetlands, as a natural solution, in terms of adapting to and mitigating the impacts of climate change. Many developing and developed countries as well as their economies and natural ecosystems have been battling with an unprecedented degree of climatic change in recent years. Bangladesh Climate Change Strategy and Action Plan (BCCSAP), prepared in 2008 and revised in 2009, identified that water security, food security, energy security, health security and livelihood security are being threatened by the adverse impacts of climate change. As one of the lead authors of BCCSAP, I know that many of the 45 programmes included in this plan couldn’t be implemented because of resource constraints, deficits in programme preparations and planning problems. This is quite unfortunate. It should be noted that wetland ecosystems are severely affected, for example, by sea-level rise, coral bleaching, hydrological effects, changes in water temperature, and alterations in water availability and quality. Wetlands in Bangladesh, like in many other developing countries, are particularly affected by socio-economic pressures and the climate change, which result in the degradation of biodiversity and ecosystem services, and a concomitant negative impact on human communities, especially those on the coast. The adverse impacts of climate change are particularly significant in our country and will decrease ecosystem resilience. Different reports suggest that around 90 percent of the wetlands, hosting more than 70,000 water birds, are in the coastal region and under threat of submersion following a sea-level rise. Many of our coastal, haor, dry and upland regions are likely to lose large numbers of wetland species as a result of climate change. Wetlands, particularly coastal and haor wetlands, are important in the process to mitigate climate change because they help to manage extreme weather events through the multiple services that they provide. Important wetland functions include water storage, groundwater recharge, storm protection, flood mitigation, shoreline stabilisation, erosion control, and retention of carbon, nutrients, sediments and pollutants (Dugan 1990). Experts say that wetlands are also significant carbon stores. According to the Ramsar Convention, it has been estimated that peatlands contain at least 550 Gt of carbon, which is almost double the amount stored in the world’s forests. Although they cover only 3 percent of the world’s landmass, they contain 30 percent of its soil carbon (Parish et al, 2008; FAO, 2012b). Wetlands such as mangroves like The Sundarbans, saltmarshes, haors and coral reefs play crucial roles in controlling flood peaks and spreading the water table. Thanks to their vegetation, such as trees and root mats, wetlands act as permeable barriers that slow waves, reduce flooding, and offer natural protection for coastlines against destructive weather events. Thus, wetlands are key for groundwater recharge and allow ecosystems to cope with drought in places like Barind Track. By the same process, by releasing underground water, wetlands help to maintain the flow of rivers when precipitations diminish. These enormously valuable natural bodies also offer solid evidence that investing in natural solutions is a cost-effective way to enhance resilience to climate change in vulnerable coastal areas and communities. But with the degradation or encroachment of wetlands, human well-being is being compromised. It is raising the risk of flooding of houses and infrastructure, and increasing the risk of exposure to water shortages and drought. Against these threats, initiatives to conserve wetlands can make a difference and benefit the well-being of the future generations of people and wildlife. I think our policymakers should help raise public awareness of the importance of wetlands. They should ensure stakeholder participation in wetland management to maintain human well-being including livelihood. 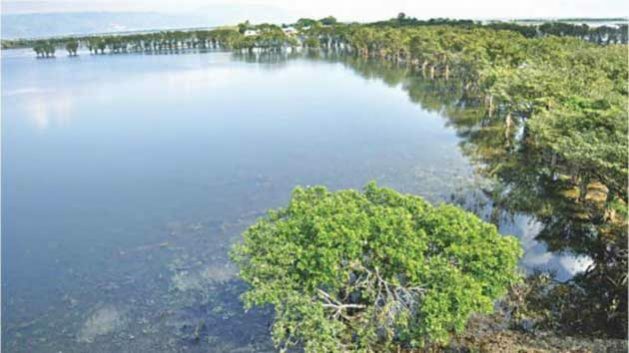 Strengthening national legal and policy arrangements to conserve all wetlands is an urgent task and that should be an integral part of Bangladesh’s National Adaptation Plan (NAP) which should be prepared without any further delay. I would also suggest developing and implementing NAP as per the NAP Roadmap prepared in 2015 and it should be our high priority along with revisiting Bangladesh Delta Plan 2100. Coastal, haor and unprotected wetlands are expected to be most severely impacted by climate change, but conserving and restoring the wetlands is an effective way to mitigate climate change impacts for people and biodiversity. Revisiting the Delta Plan is essential before it enters its implementation phase to ensure people’s participation in the formulation and implementation of this long-term plan, with more adequate public consultations. Quamrul Chowdhury is a climate, water and sustainable development specialist, a former Chair of UN Kyoto Protocol Joint Implementation Committee, former member of UN Climate Adaptation Committee, and member of World Water Scenario Group.